Back in the days of yore, when cheese didn’t come in pre-sliced, individually wrapped packets, and the word “cloud” only referred to the visible masses of precipitation in our planet’s atmosphere, there was only one way to accurately make a movie with sound. That way, my friends, relied heavily on the aid of a slate or clapperboard. These days, many cameras come equipped with internal microphones for capturing sound, but this was not always the case. Cameras and sound recording devices were once strictly separate entities, and it was important to be able to sync the audio and visual elements once shooting was complete and it was time to start editing. The sharp “clap” sound produced by a slate was developed as an easily identifiable point of reference for the person editing the project. But we live in the fancy twenty first century, what use have we for clapperboards and the like? Well, today a lot of folks are shooting with DSLR cameras, and are using separate sound recorders to capture the highest quality audio for their project. Thus, slating still plays an active roll in capturing and organizing sound during a production, and makes the job of the editor easier when bringing picture and sound together in post production (a.k.a. once all the shooting is complete). Our friends at Framelines TV have provided a great overview of slating, which you can check out in the video below. 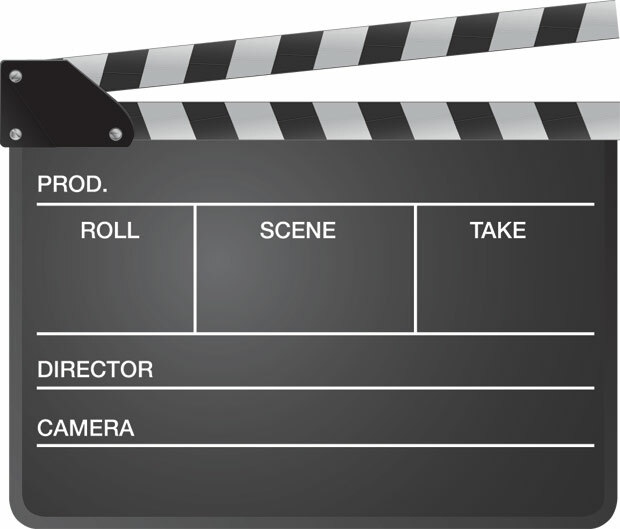 A slate should be written clearly and legibly, and positioned in the frame as the camera and sound operators begin recording and before the director shouts “action!” The signature sound of the clapper should be loud enough for the microphone to catch it, and the clapstick should be visible for the camera to catch it. This does not mean the clapper needs to be slammed hard - just letting the clapstick drop down on its own should be enough. There are a few helpful verbal queues that the slate loader should say before the scene begins. The slate loader readies the clapper, says “marker,” and slaps the clapper. The slate loader moves out of the frame. Placement in the frame is important when slating. The clapperboard should be positioned squarely in the frame and the numbers legible for the editor to read. For a wide shot, have the clapperboard in front of the camera. For a close up shot, make sure the clapperboard is in front of the subject of the close up. So what is written on the clapperboard and how do you write it? The image above is a conventional clapperboard. A clapperboard typically comes with spaces to write the production title, director, camera operator, date, and whether it is a day or night shot. The numbers on a clapperboard consist of the numbers designating the roll (or tape, and for DSLR shooters, memory card), the scene, and the take. The numbering system for scenes is good to know when shots vary while shooting the same scene. Shots within the same scene are designated by letters of the alphabet next to the scene number: 1A, 1B, 1C...1AZ, then 1AA, 1AB, 1AC, and so on, as you run out of letters in the alphabet. When these numbers and letters are said verbally on set, the letters are often nicknamed so that they read out as “one apple, one baker,” and so on. A few letters tend to be skipped - I, O, and S - to alleviate any confusion when placed next to the scene number. *P***Pro tip:** Never write on your slate with a Sharpie or permanent marker! You want to use a dry-erase marker that can be easily erased. This way, you can use your slate over and over! Sometimes a scene will not need any sound or it will be added later. The clapper is not always used when slating a scene. These scenes are slated as an MOS, or a “Motor Only Shot,” indicating that the scene does not need synchronous sound added to it later. In this case the clapperboard is held with the clapper closed or muted with your hand. If the scene is accidentally shot without a slate at the beginning, a good idea is to tail slate. This is when the slate is done at the end of a scene instead of the beginning, and is indicated by showing the clapperboard turned upside down. Even if you don’t have a slate you can still use a sudden noise to help synchcronize your audio and video elements. A brief, sharp clap in front of the camera can be used by an editor later on to match up video and sound. p>See? Who said you didn’t need slating? 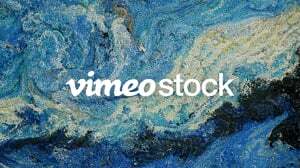 It’s fun, easy, and makes a world of difference in the filmmaking process, bringing your pictures and sound together in harmony where they can call your wonderful videos home! Thank you that was great information to use.